When warm weather returns, so too do pesky chinch bugs, lawn moths and sod webworms — and they’re hungry for your lawn, which means it’s time to turn to TruGreen for effective chinch bug control in Alberta. Once fully grown, these critters are grey-black in colour with white wings, and because they feed on turfgrass, they create irregular brown patches that look a lot like drought damage, especially in mid-summer. Our experts understand that the key to eliminating chinch bugs is detecting them early and irrigating turf in order to draw pests from the protective thatch later before applying insecticide, maximizing the treatment's effectiveness. That's what makes TruGreen your natural first choice when you want to put an end to problem pests and help your lawn thrive again. Personalized and professional care is essential in protecting your land and landscape from common disturbances, and chinch bug control in Alberta is the key to maintaining a healthy lawn and landscape. The services available from TruGreen® are designed to help your lawn and landscape maintain its health and attractiveness by managing pest issues. It's all aimed towards one result: achieving a vibrant land and landscape that you can truly enjoy for seasons to come. That's why we're the smart choice for chinch bug control in Alberta today. In addition to quality solutions for lawns, trees, shrubs and landscapes, we also provide exceptionally attentive customer service. That includes our guarantee that your green space will become as healthy and as beautiful as you’ve always wanted them to be. Contact us for an in-depth lawn care analysis today. When the threat of chinch bugs arises in your land and landscape, TruGreen provides chinch bug control that guarantees successful results. Our local experts are ready to customize a service plan that includes not only the chinch bug control you need, but also ensures the health and beauty of your lawn, trees and shrubs. After all, the most effective treatments are tailored for the individual needs of your landscape. Enjoy a beautiful lawn and landscape this year with help from TruGreen. 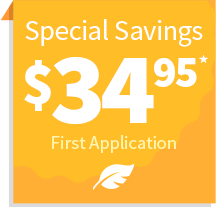 Take advantage of effective chinch bug control in Alberta from TruGreen. Contact us at 866-644-8155 for an estimate now; it’s free!